This entire Cleveland Cavaliers situation is going to get worse before it gets better. It seems as if we have this conversation around the same time every year, when the Cavs start struggling and we wonder if LeBron will get them back into the NBA Finals, only to see them make it there yet again. This particular situation seems much different, however, as the team is out of sync on both sides of the floor. A few nights ago, it resulted in the OKC Thunder scoring 148 points on them. During that loss, Kevin Love had to leave early because of an illness and a team meeting was held because many questioned why he really had to leave that game. NY Post is now reporting that Isaiah Thomas led the charge against Love. “ESPN reported that during a team meeting Kevin Love became yet again the convenient scapegoat. 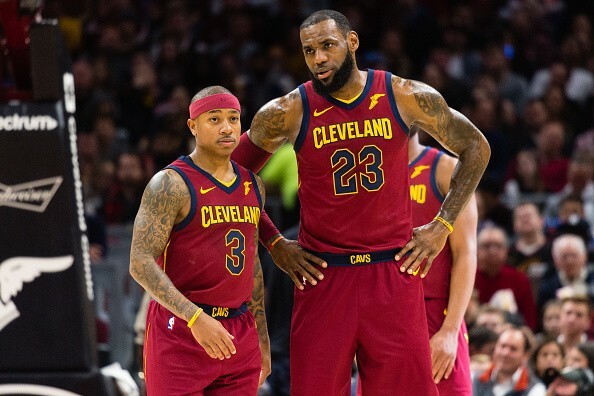 A source told The News that Isaiah Thomas led the charge against Love, who turned up ill for Saturday’s embarrassing loss to Oklahoma City and went home after playing just three minutes. That reportedly didn’t sit well with some of the Cavs, including Thomas who arrived for training camp injured and didn’t play until January. Yet, Thomas has an issue with Love?